ABRSM grades 4-5. Approximately 2 minutes 30 seconds. ABRSM grades 7-8. Approximately 4 minutes. A suite in three movements: Invocation; Sky; Dance. Trinity / Guildhall examinations grade 6. ABRSM grades 6-8. Approximately 8 minutes. Sky Dance requires only conventional techniques but needs a highly developed sense of style and expression. A most welcome addition to the repertoire. Brenda Dykes, Pan: British Flute Society Journal (1997). ABRSM grades 7-8. Approximately 5 minutes. First Performed by Christopher Britton, at Holywell Music Room, Oxford, on 20th April 2008. 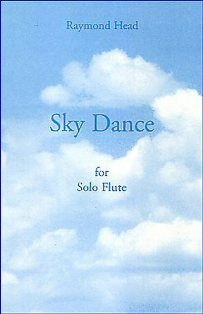 It is a beautiful poetic meditation ... which stands as a companion piece to his successful and evocative Sky Dance for solo flute. Tempo, October 2008. Picc; flute 1-4; alto; bss. ABRSM grades 7-8. Approximately 7 minutes. First performed at the Stratford International Flute Festival, July 2005. Flute; vln 1-2; vla; vc; db. ABRSM grade 5. Approximately 5 minutes. First Performed at Bruton Girls School, Somerset, 2001. ABRSM grade 8+. Approximately 6 minutes. For Owen Dennis and Sarah Nicoll. Commissioned by Music Past and Present for performance in London, February 2004. "It is a wonderful piece. The nature of the oboe is incorporated into every note. Intense expression in both the assertive sections and the contemplative moments seem to embrace the qualities of the instrument with so much eloquence and beauty. The dialogue with the piano is very exciting." Edwin Roxburgh (2011), former professor at the RCM and (with Leon Goossens) author of the Yehudi Menuhin Guide to the Oboe. ABRSM grades 3-4. Approximately 2 minutes 30 seconds. Commissioned by Ian Chester and the Manchester Recorder Orchestra. First Performance at Buxton Festival, July 2017. Sopranino; Sop. 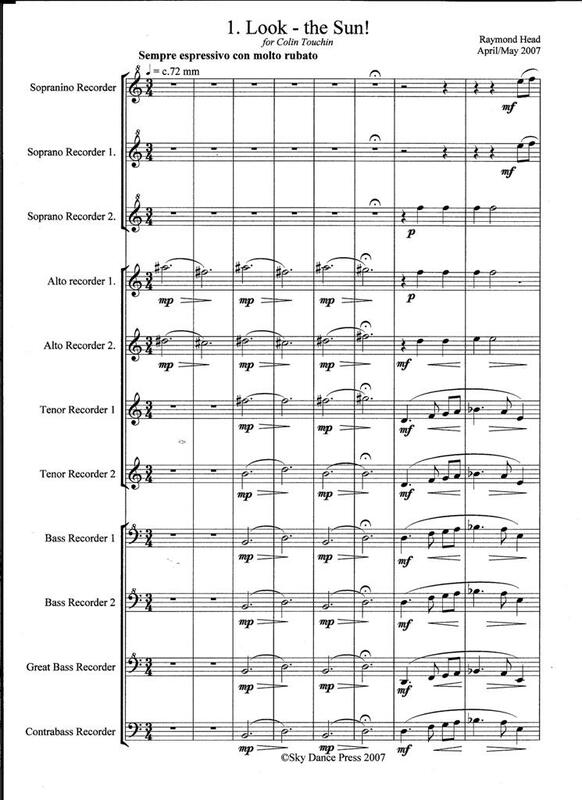 1,2,3; Alto 1,2; Tenor 1,2; Bass 1,2; Great Bass; Contrabass. Click on these sample pages to enlarge them: . There is a version for smaller ensemble of this piece which I have called Schauberger’s Dream. Sopranino; Sop. 1,2,3; Alto; Tenor; Bass. First performed by the Heart of England Recorder Orchestra, conductor Colin Touchin, Bromsgrove, Worcestershire, 1st December 2007. This is a version of Recollections of Sun and Water for a smaller ensemble. ABRSM grade 8. 7 minutes. First performance 21st April 2012 at All Saints Church, Isleworth, Middlesex by Robert Gibbs (violin) and Oliver Davies ( piano) during Alan Gibbs’ 80th birthday concert. For Martin Anderson. Written in May 2016 to memorialize the death of Yodit Tekle. First performance and recording (below) by L,viv Symphony Strings conducted by Paul Mann. To be released on Toccata Classics. ABRSM grade 4. Approximately 1 minute. 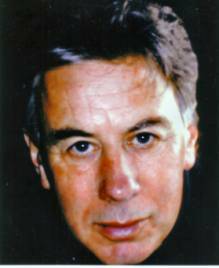 First performed by Duncan Honeybourne, Magdalen College, Oxford, June 2000. ABRSM grade 8+. Approximately 10 minutes. First performed at the Leominster Festival by the composer, 1997. A performance by Kirsten Johnson: Sorry, your browser does not support the play function. ABRSM grade 8+. Approximately 5 minutes. Commissioned by the Alkan Society, London for a Ronald Smith memorial concert. First performed by Kirsten Johnson, Royal Academy of Music, London, September 2004. ABRSM grade 8+. Approximately 3 minutes. ... an exciting and flamboyant work earned a standing ovation for performer (Kirsten Johnson) and composer. Lionel Sainsbury, Tempo, October 2008. ABRSM grade 8+. Approximately 13 minutes. Commissioned by Chipping Norton Theatre, Oxfordshire. First performed by Yoshiko Endo, 2001. Extracts from a performance by Kirsten Johnson: Sorry, your browser does not support the play function. ABRSM grade 8+. Approximately 12 minutes. Commissioned by the Lenthall Concerts, Burford, Oxfordshire and performed by the Rogeri Trio in 1998. First performed February 5th 2017 at Holywell music Room, Oxford by Arne Richards and Mike Bardsley on 2 harpsichords. Could be performed on 2 pianos, 2 organs or 2 electronic keyboards. All Raymond Head's harpsichord music is available on a Prima Facie ASC Recordings CD PFCD048, together with music by Delius,Holst, H.Howells, Peter Maxwell Davies and Bax. 1. Le Mystère; 2. Le Rappel de l'humanité. A tribute to Couperin and Rameau. ABRSM grade 7. Approximately 6 minutes. Excellent pieces . Christopher Hogwood. Ending of Le Mystère: Sorry, your browser does not support the play function. Le Rappel (complete): Sorry, your browser does not support the play function. ABRSM grade 5/6. Approximately 4 minutes. A solo harpsichord piece dedicated to John Cage which was short listed for a competition organised by the British Harpsichord Society in 2012. Although it is obviously contemporary it has a French inflection and is a very expressive piece. It would work well in any recital of 18th century music. Not difficult. 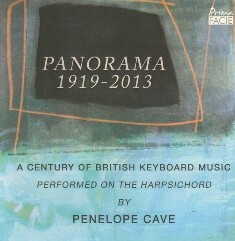 1st Public Performance 15th April 2014, Christchurch, Woking, Surrey by Penelope Cave. ABRSM grade 8. Approximately 4 minutes. This piece was inspired by witnessing the whirling dervish ceremony with its moments of quiet prayer and whirling in Istanbul. Commissioned by Penelope Cave. First performance in January 2007 at the Stratford on Avon Festival. Words and music by Raymond Head. Written for my singing groups who had little or no knowledge of music and little knowledge of singing either! I realised that they would like to hear themselves sing in a Russian style but finding no approriate music around for elementary SATB I wrote this work. It is written in transliterated Russian, and English. Easy but very effective! First Performance Deddington Church, Oxfordshire 4 December 2011 Choros conducted by Janet Lincé. "a very moving work" - audience member. The video is of a performance by Wychwood Chorale conducted by David Crown, 31st March 2012. For North Cotswold Chamber Choir, conductor Ashley Stafford. Words by Walt Whitman. Semi-chorus (SS A), double choir, flute, tam-tam, three trombones. First performed by the Birmingham Conservatoire Choir, conductor Julian Pike, at Adrian Boult Hall, Birmingham, February 1998. This is a beautiful and often surprising piece which ought to appeal to the large audience already captured by Taverner and Pärt, yet offers a more complex and thought-provoking experience. Calum MacDonald, Tempo (C.U.P) July 1998. Fanfare for Gustav Holst, written for the unveiling ceremony of a portrait sculpture of Holst at Montpelier Gardens, Cheltenham, Gloucestershire, 4th April 2008, by the renowned conductor Sir Mark Elder and played by trumpeters from Pate’s Grammar School, Cheltenham. Pae-G-an, a fanfare for the opening of a sculpture by Anish Kapoor at the ancient stone circle called the Rollright Stones, Oxfordshire in 2003 (but not performed). To be played by four players (or more) standing at the four cardinal points and thus forming a circle. First performed by the brass of the Music for You summer course, conductor Guy Woolfenden, Herefordshire, 2003. Moderately difficult. Approximately (1) 1 min 30 sec, (2) 1 min 10 sec. For Soprano, Flute, Guitar, Violin, Cello. Commissioned by David Pedder for the Abingdon Chamber Recitals with funds from the Arts Council, Autumn 2001. Words specially written by the Irish poet Bernard O'Donaghue. First Performance at St Nicholas Church Abingdon, September 2001. 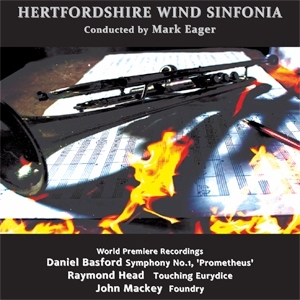 First performed by Hertfordshire Wind Sinfonia, conductor Mark Eager, April 2011. Karnak; ...and suddenly I saw the sun... ; Dance. For junior wind orchestra: picc; flt 1,2; ob; Bb cl 1,2,3; b.cl; alto sax; tenor sax; baritone sax; bsn; hrn in F (hrn in Eb optional); tpt 1,2 in Bb; trb 1,2; euph in Bb; tuba; string bass; timp; perc 1-3. US grades 2-3. Approximately 7 minutes. First Public Performance at James Allen School, London, 5 November 2007, conductor Mr Leigh O'Hara. Played at the Music For You course held at Bicton College, Sidmouth, Devon in August 2007, conductor Guy Woolfenden. This work has been admirably tailored to suit the developing player. Winds Magazine, Autumn 2007. Extract from Scene 3: Dance: Sorry, your browser does not support the play function. 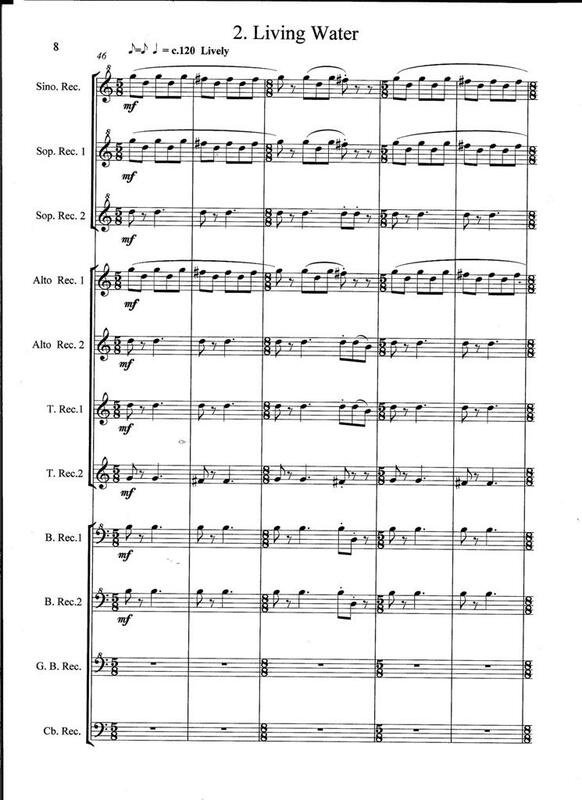 For large wind orchestra: picc; flt 1,2; ob 1,2; Eb cl; Bb cl 1,2,3; b.cl; alto sax 1,2; tenor sax; baritone sax; bsn 1,2; trp 1,2; hrn in F 1-4; tenor trb 1,2; bass trb; euph in Bb 1, 2(optional); tuba; db; timp; perc 1-6. US grades 4-5. Approximately 9 minutes. Commissioned by Keith Allen for Birmingham Symphonic Winds. First performance at the CBSO Centre, Birmingham, June 2004. Also performed by the National Youth Wind Orchestra, Birmingham Conservatoire Wind Orchestra conducted by Guy Woolfenden, Hertfordshire County Youth Wind Orchestra and Vestidens Musikkorps, Norway. An audio CD featuring a performance of this work by the Hertfordshire Wind Sinfonia is available from Prima Facie / ASC records. The performance can be heard on YouTube. An excellent addition to the repertoire - try it! Robert Parker, Winds Magazine. Incidental music for solo cello, percussion and electronics. Commissioned by the Chipping Norton Youth Theatre, Oxfordshire. Public performances in March 2000.